We have been been providing outdoor commercial play equipment for schools, nurseries, pubs, hotels etc for more than 15 years. With our proven modular design we have the flexibility to create individual playgrounds of all shapes and sizes, and all at prices which are surprisingly modest. 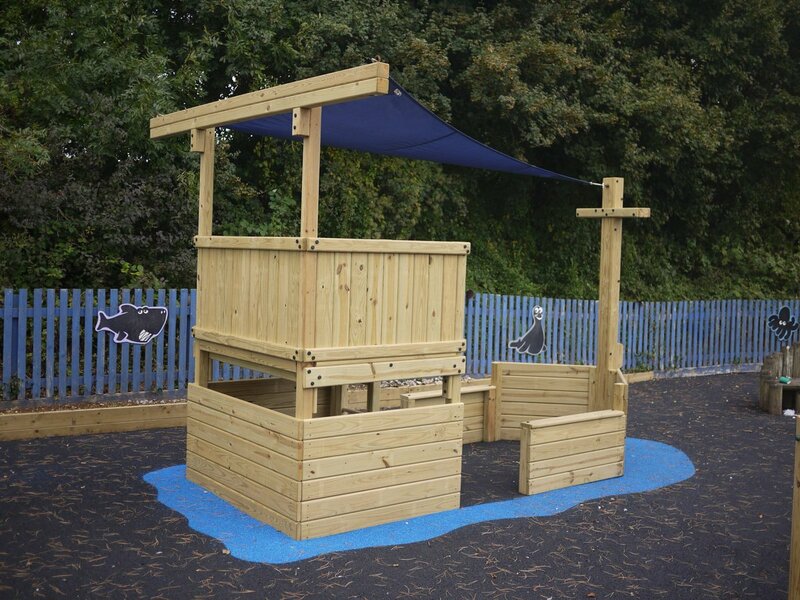 Made from beautiful natural timber, we have a huge range of commercial play equipment, plus the ability to custom design individual playgrounds to your specification. Here are our most popular ranges; click on the images to learn more. We have lots of experience in designing, building and installing play equipment in schools, nurseries and play groups throughout the country. The relevant page on our site will show the different age groups we cater for. But in all cases you can be sure that we use the same top quality parts and components. And all our installations are designed and built with a focus on active, educational play and to comply with EN1176, the commercial play standard. Our range covers the ever popular multiplay tower systems to playtrails and playground structures. If you are a pub planning to add play equipment to the garden for the summer season this is the time to start. An attractive garden with children’s activities can really boost that all important family trade and give a pub owner a real point of difference with neighbouring establishments. We are experts in creating the ideal play equipment installation whatever the space and budget. Or a holiday site wanting to increase the features for their guests; we’ve done lots of these before so we’re sure we will have the right playground for you. Almost every outdoor play project is slightly different, and the requirements for commercial playgrounds are quite specialised. We pride ourselves on our ability to come up with the right play equipment for each individual user; and as we have our own manufacturing facility we can custom design playgrounds on a tailor-made basis. We have lots of examples of bespoke designs – but if you want to read about a specific case study from beginning to end, here is a story of one such project. You can explore our extensive range of commercial outdoor play equipment by searching through the drop-down menus above, or see what others have chosen for their playground by having a look through our gallery. Or see what’s new in our Blog.